Klaus Frahm, Richard Wagner Festspielhaus, Bayreuth, 2013. 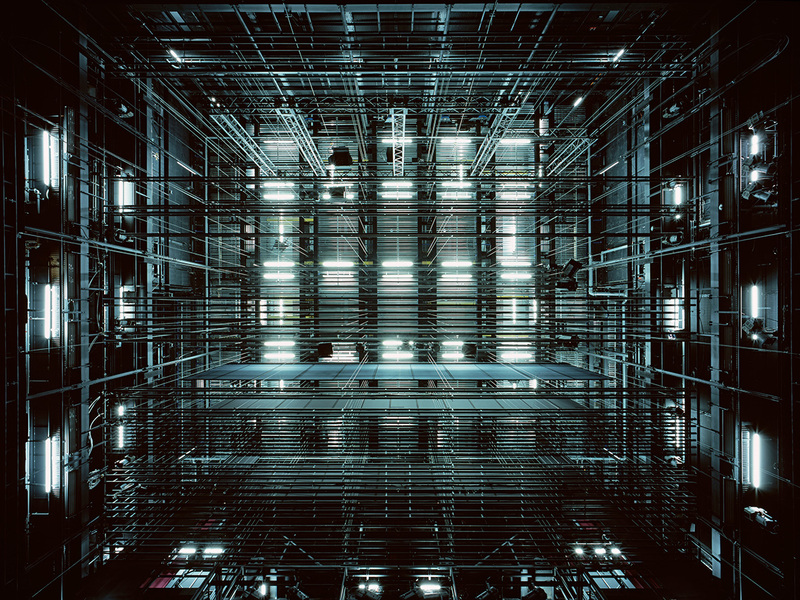 Galerie XII Los Angeles is pleased to present the first US exhibition of prints from the series The Fourth Wall by Hamburg-based photographer Klaus Frahm. An opening reception with the artist will be held at the gallery on Saturday, March 16th from 4-7pm, the same evening when the artist’s son, renowned neo-classical pianist Nils Frahm, makes his highly anticipated debut performance at the Walt Disney Concert Hall. A hi-fidelity sound system installed in the gallery will provide musical context to the prints on view creating a unique, multi-sensory exhibition experience. 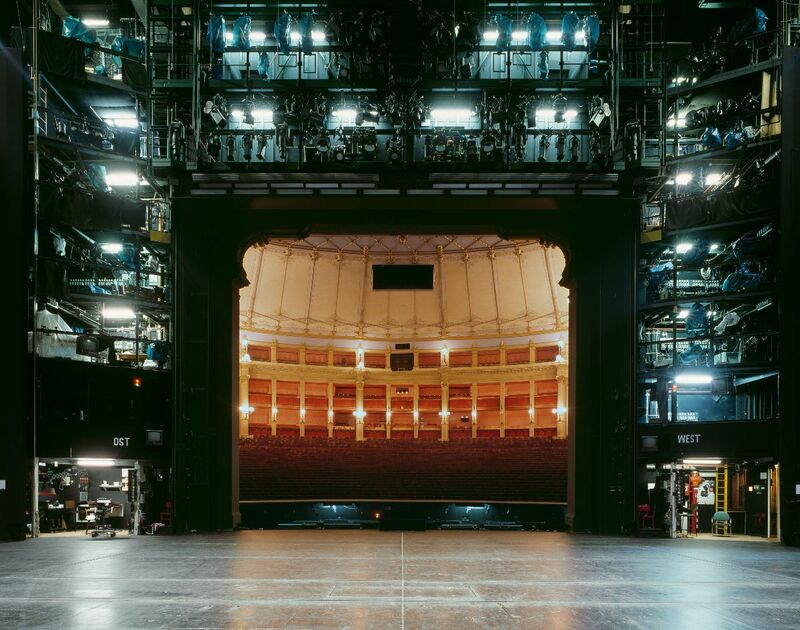 Klaus Frahm, Neue Flora, Phantom of the Opera, Hamburg, 2015. 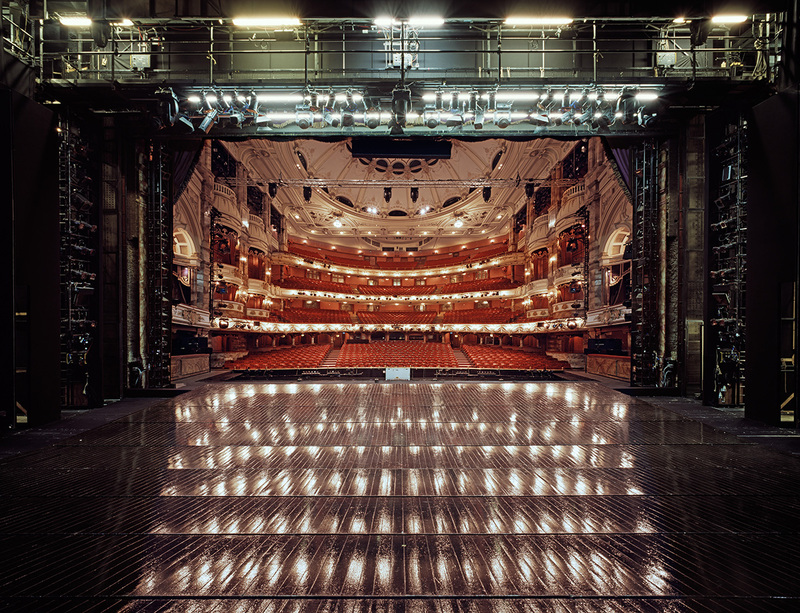 Since 2010, Klaus Frahm has been photographing classical theaters and opera houses across Europe for the series, The Fourth Wall. Coming from the tradition of architectural photography, he uses prominently an analog 4x5” camera to control the perspective and capture minute details. Composing from the back of the stage facing the audience, his series presents a striking visual commentary on the design and dramatic theory of the invisible wall between the audience and performers. The Fourth Wall, a term common among actors, had been invented in 1892 by the French dramatist Jean Jullien: the actors should behave on stage like in a room with four walls, the fourth is transparent only to the audience. 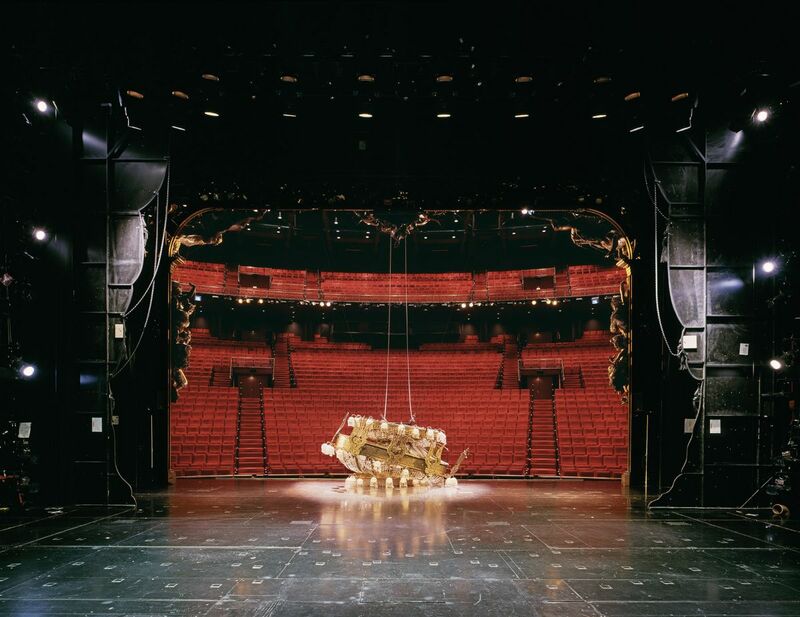 The mechanical, electric complexity of show production typically hidden behind the scenes now prominently frames the opulent theater seating beyond the stage creating a multifaceted dialogue between the two contrasting environments. Photographs from hallowed venues across Germany, Italy, Belgium, England, and Switzerland will be on view, providing visitors a unique contemporary viewpoint on these historically significant spaces. 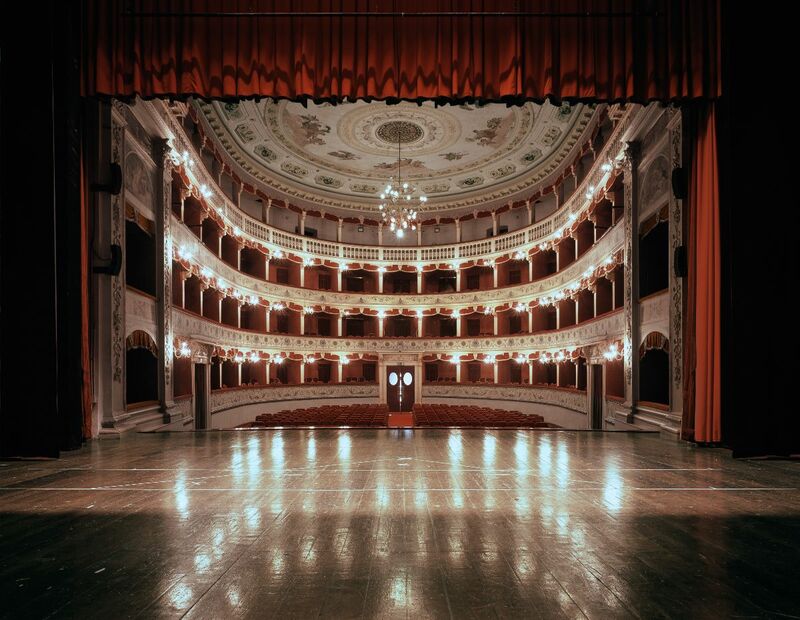 Klaus Frahm, Teatro Regina Margherita, Caltanissetta, Sicily, 2018. Klaus Frahm, English National Opera, London, 2016. Klaus Frahm (b. 1953, Germany) studied anthropology and journalism before beginning his career as a self-taught photographer in 1980. The main focus of his work is in architecture, often with political, ethical or social subtexts. Since 1976 Frahm’s artwork has been exhibited and published internationally and included in prominent collections such as the Museum für Kunst und Gewerbe, Hamburg, the Museum of Modern Art, Yokohama, Bibliothéque Nationale, Paris, the Polaroid International Collection, Cambridge, and the collection of Chase Manhattan Bank, New York, among others. Frahm lives in Hamburg and Berlin. Klaus Frahm, Cage, Deutsches Schauspielhaus, Hamburg, 2015. Hours: Wednesday - Saturday, 11 am - 6 pm, and by appointment. Copyright © 2019 Galerie XII Los Angeles, All rights reserved.